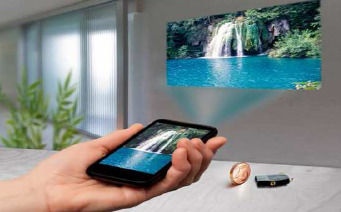 Based on two modules, the Optical Engine and the Electronics board, by using Laser scanning technology it will be capable of projecting vivid images and movies at high brightness at a few meters of distance, with a very low power consumption. Initially designed targeting mobile applications, the module will be exceptionally small and slim (the size of a credit card) to fit the new generation’s smart-phones devices, iPads and Ultra books. The micro-scanner is a micro-opto-electromechanical system (MOEMS) fitting the category of ultra-fast micro-mirrors for dynamic light modulation. 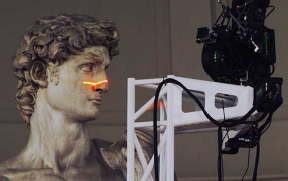 Actually, Real-Time 3D shape measurement of moving objects has a huge potential for a variety of applications, including Human Machine Interaction (HMI), surveillance, fab automation, etc. The aim is to develop NIR micro-spectrometers based on MOEMS FPI technology targeting large-scale automotive application. The work will include development of starting material (wafer process development at Okmetic to improve surface quality in optical MEMS devices). Okmetic will manufacture SOI wafer demonstrator (cavities etched by ST-I) for the micro mirror working under resonance. An important feature is that the membrane is not pillow-shaped above the cavity, with a very limited deviation of just a few nanometers in thickness and height in the 200 μm range cavity.